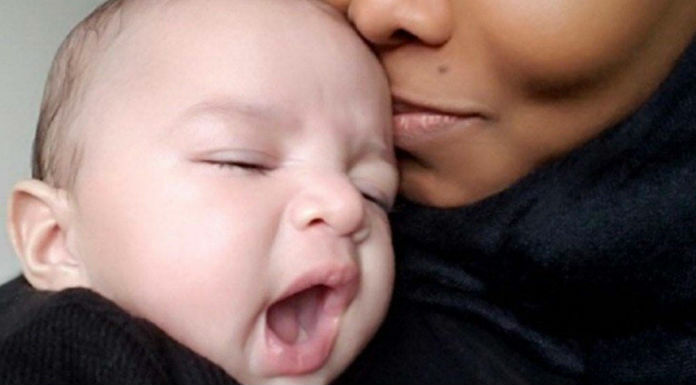 Singer Janet Jackson has taken to twitter on Friday to share the first photo of her son Eissa Al Mana after three months of welcoming him along with her estranged husband Wissam Al Mana. She captioned the photo and wrote “My baby and me after nap time” that shows her 14-week adorable baby yawns for the selfie. Janet Jackson gave birth to Eissa on January 3rd and hasn’t revealed the photo of her son yet. And now the 50-year-old singer has shared a pretty photo of her son, who ended the five years marriage life with Wissam Al Mana recently. It seems she is enjoying the motherhood and a source pretty close to her revealed earlier that “she absolutely loves” motherhood. While many big stars decide to raise their kids in private, Janet Jackson is making headlines since welcomed a son. A daily reported that though Janet Jackson and Wissam are now apart, they are good parents and decided to raise Eissa together. “It’s amicable and Eissa will stay with his mother, who is basing herself in London,” cited a source.